格言： Пролетарии всех стран, соединяйтесь! 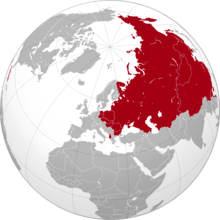 ^ 73 Years of State Atheism in the Soviet Union, ended amid collapse in 1990. Articles.baltimoresun.com. 1990-10-02 [2013-10-13]. ^ Bridget O'Laughlin(1975)Marxist Approaches in Anthropology Annual Review of Anthropology Vol. 4: pp. 341–70（October 1975，doi:10.1146/annurev.an.04.100175.002013). ^ Russian. Oxford University Press. [9 May 2017]. 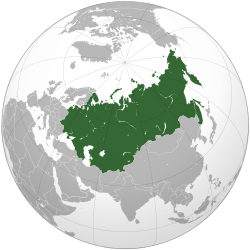 historical (in general use) a national of the former Soviet Union. ^ 新浪网：决定欧洲命运的1920年华沙会战. Mil.news.sina.com.cn. 2005-11-18 [2017-05-24]. ^ 2011年10月28日11:47. 布哈林如何从斯大林的盟友沦落为斯大林的阶下囚. Roll.sohu.com. 2011-09-21 [2017-05-24]. ^ 米格走廊：苏联空军秘密参加朝鲜战争. Huaxia.com. 2010-07-08 [2017-05-24]. ^ 1. 九评苏共中央公开信：赫鲁晓夫假社会主义及其对世界共产主义运动的经验教训. Cpc.people.com.cn. 2006-06-17 [2017-05-24]. ^ 19.0 19.1 19.2 中国社会科学院俄罗斯东欧中亚研究所：论“布拉格之春”对苏联内政的影响 互联网档案馆的存檔，存档日期2013-09-27. ^ 真实的勃列日涅夫时代 第一节：机会给予了还没准备好的没头脑. Newsmth.net. 2016-08-25 [2017-05-24]. ^ 真实的勃列日涅夫时代 第四节：亲斯大林感情与个人崇拜的重现. Newsmth.net. 2016-08-25 [2017-05-24]. ^ 24.0 24.1 飞毛腿导弹的前世今生：戈尔巴乔夫为解除美国粮食禁运销毁“奥卡”导弹. Tieba.baidu.com. [2017-05-24]. ^ 25.0 25.1 人民网“中国共产党新闻”：中苏不同的改革开放来源于不同的理论指导. Theory.people.com.cn. [2017-05-24]. 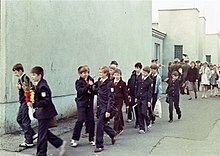 ^ Конституция СССР в редакции от 1 декабря 1988 г. Constitution.garant.ru. [2017-05-24]. ^ Конституция СССР в редакции от 14 марта 1990 г. Constitution.garant.ru. [2017-05-24]. ^ Конституция СССР в редакции от 26 декабря 1990 г. Constitution.garant.ru. [2017-05-24]. ^ Rayfield 2004, pp. 317–320. ^ "Gorbachev, Mikhail." Encyclopædia Britannica. 2007. Encyclopædia Britannica Online. 2 October 2007 < 存档副本. [2012-12-21]. （原始内容存档于2008-06-22）. >. 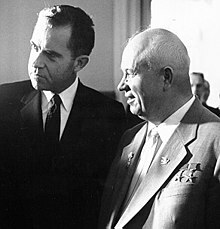 "Under his new policy of glasnost("openness"),a major cultural thaw took place: freedoms of expression and of information were significantly expanded; the press and broadcasting were allowed unprecedented candour in their reportage and criticism; and the country's legacy of Stalinist totalitarian rule was eventually completely repudiated by the government." Armstrong, John A. The Politics of Totalitarianism: The Communist Party of the Soviet Union from 1934 to the Present. New York: Random House, 1961. 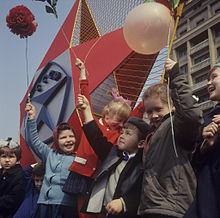 Lina, Jüri: Under the Sign of the Scorpion: the Rise and Fall of Soviet Empire (Stockholm: Referent, 1998). Moore, Jr., Barrington. Soviet politics: the dilemma of power. Cambridge, MA: Harvard University Press, 1950. Rizzi, Bruno: "The bureaucratization of the world : the first English ed. of the underground Marxist classic that analyzed class exploitation in the USSR" , New York, NY : Free Press, 1985. Schapiro, Leonard B. The Origin of the Communist Autocracy: Political Opposition in the Soviet State, First Phase 1917-1922. Cambridge, MA: Harvard University Press, 1955, 1966. This page is based on the Wikipedia article 苏联; it is used under the Creative Commons Attribution-ShareAlike 3.0 Unported License (CC-BY-SA). You may redistribute it, verbatim or modified, providing that you comply with the terms of the CC-BY-SA.